Run a beach and a canyon all in one run! 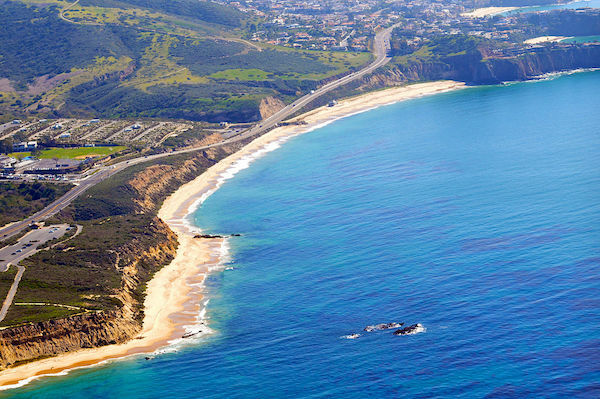 Crystal Cove State Park is one of Orange County’s largest remaining examples of open space and natural seashore. There are 3.2 miles of beach, 2,400 acres of backcountry wilderness. One unique feature of the park is the federally listed Historic District, an enclave of 46 vintage rustic coastal cottages originally built as a seaside colony in the 1930’s & 40’s and nestled around the mouth of Los Trancos Creek. The park is a great spot for swimming, surfing, tide pooling, and hiking. Running opportunities here are terrific. There are 15 miles of trails, including a 2.5 mile paved trail that runs along the coastal tops. See the maps below. For an easier run, enjoy the Crystal Cove Promenade, just below the highway, which runs for 2.7 miles from Little Treasure Cove, south to Muddy Canyon. There are offshoots of the path that poke down to the beach. The Moro Canyon trails range from moderate to challenging. One can do a loop of nearly 9 miles, involving a nearly 2,000 foot elevation gain.